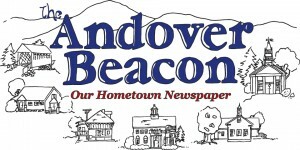 Donate to the Beacon Online! Don’t Forget to Support the Beacon in 2019! Northern Stage announces the successful launch of Boot Camp, a program designed to nurture young theater artists by providing in-depth training and mentorship for high school juniors, seniors, and recent graduates who want to pursue a career in the arts . With support from the Pussycat Foundation and created to honor the philanthropic and creative spirits of Helen Gurley Brown and David Brown, Boot Camp serves young artists who lack the resources to pursue professional-level arts training. Admission to colleges, BFA theater programs, and performing arts conservatories are highly competitive, and Boot Camp seeks to level the playing field by preparing students to compete at the highest level for continued arts and performance studies. Northern Stage welcomes the 2018-19 Boot Camp Company, returning Cadets Margaret Finley, Alia Gonzales, and Lily Magoon, joined by Shane Boucher, Hayden Christensen, Ella Falcone, Samantha Gibbs, Thomas Page, Sydney Read, and Ana Laura Santana and Apprentice Marissa Montagno and is thrilled to continue this intensive program as part of their mission to change lives, one story at a time. “Boot Camp is the best thing that has ever happened to me,” says 2017-18 Cadet Kyle Mason. Due to the explosion of growth in education, Northern Stage is in the process of purchasing an additional property at 93 S. Main Street in White River Junction, Vermont. With waitlists for the Summer Musical Theater Intensive and YES programs, the tripling in size of BridgeUP: Theater in the Schools, and the launching and flourishing of the Boot Camp program, the company is expanding its footprint to meet the demands on capacity. More information on the building and its specific use will be released in the weeks and months to come. More at Andover Yankee Trader! Don’t Forget to Support the Beacon in 2018!